THE QUESTION Some people tout red wine as a means to a longer, healthier life. Those who like dark chocolate sometimes do likewise. Their conviction stems from a component of both, the antioxidant resveratrol. Does scientific analysis support those beliefs? THIS STUDY analyzed data from 783 men and women age 65 and older (average age, mid-70s at the start of the study). 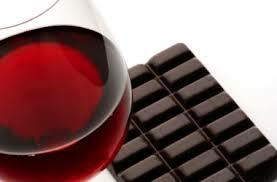 Participants adhered to a normal Western diet, with resveratrol coming primarily from wine. No one took resveratrol supplements. Laboratory analysis of urine samples revealed the amount of resveratrol that had been metabolized by their bodies. During the next nine years, 27 percent of the participants who did not have cardiovascular disease at the start developed it, 5 percent of those who had been free of cancer were diagnosed with the disease and 34 percent of the participants died. The likelihood of having died during this span was virtually the same in those who had the lowest levels of resveratrol metabolites, indicating little to no consumption, and in those with the highest levels. People who consumed the most resveratrol were as likely to have developed cancer or cardiovascular disease as were those who consumed the least.